Heat oven to 350°F. Shape dough into 1-inch balls. On ungreased cookie sheets, place 2 inches apart. Bake 6 to 9 minutes or until golden brown. Cool 1 minute; remove from cookie sheets. Cool completely, about 10 minutes. Meanwhile, in medium bowl, mix peanut butter and honey until well blended. 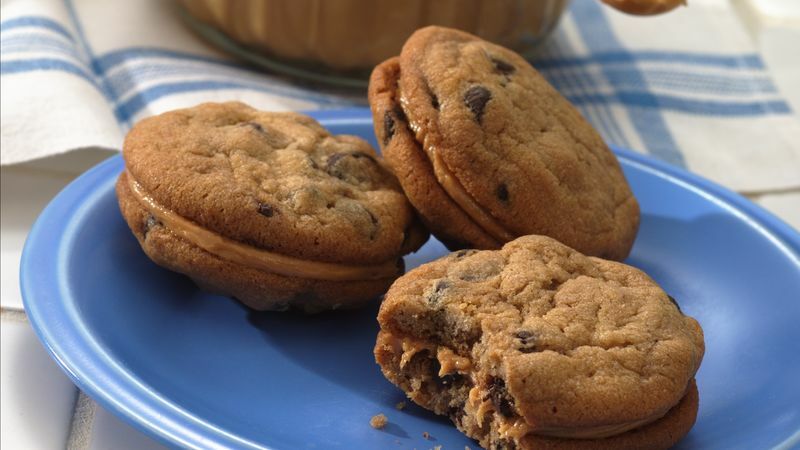 For each sandwich cookie, spread about 1 rounded teaspoon peanut butter mixture between 2 cooled cookies.